i might browse equally within this subject in the recent news articles the articles provided were as fascinating as what you may may have written during this write-up. dont stop caring concerning the content material you write. Also, I haven’t forgotten that I promised a comment on the math of propaganda (and to warn raff ahead of time… 😉 ), either, but I’ve kicked it down the road to your next propaganda post so as not to un-threadjack this very interesting discussion and because it was taking me longer than I thought it would. I have the patience of Job. President Obama is getting my vote as well both because, graded on the scale set by President Bush he still scores well (and scores better that I believe Romney will) and because I hope that we will get more out of him in a second term when he no longer needs to run for reelection. In addition, I completely agree with Mike regarding a “holding action” and I don’t think that voting for Romney is compatible with my values (or the espoused values of most Americans). I may have to hold my nose to do it this time, but I am no less committed to helping the president win than I was the last time around (in some ways, Ryan is scarier than Palin…). Sounds like Graham has come up with a new white Rap group name! It is not “Romney winning the White House” … it is what Romney represents. I was still trying to understand your philosophy of government when I asked about inspiration. You fully explained some of that in your posts to Gene. And yes, I was talking about things like interplanetary exploration by NASA and especially the thousands upon thousands of genetic explorations going on in our universities. I am always willing to have tax dollars spent on inspiration. “Masters” just how far they can go in oppressing us. The plutocracy is smart enough to know that too much oppression might lead to bad consequences for them, so this is measured by the electoral process. As far as I’m concerned one votes as a “holding action” until those of us who want real change, as opposed to rhetoric, can figure out a way to gain control that doesn’t involve violence, which to me is always self-defeating. The change needed is not one of “Isms”, but of understanding that politics has always been about lust for power and the need for the vast majority of us to turn politics into the real pursuit of the common good by rejecting the sociopaths who common lead all human society’s. My stance has always been and will continue to be, especially in light of this “all-in” Republican platform, I will vote for Obama. I am a privileged white, protestant, female who, at close to 67 years of age will not see any changes to either SS or Medicare that will impact on me. I did not support Obama’s nomination and am not at all shocked by his actions or inactions as President because I did not fall for the “hope” propaganda in the first place. I’m somewhat disappointed that he didn’t “grow” into the office but not at all surprised. If it was only me I thought of then, in all honesty, Romney is no threat. But I have brothers and sisters out there who are African Americans, Native Americans, Latino Americans, Muslim Americans, Jewish Americans, Young and Middle-aged Female Americans, Poor Americans, etc., and I refuse to do to them what the Germans did to their country when out of fear and a false sense of me-ism they put Hitler in charge of their democracy. I do not consider that statement to be over the top and I do not consider it to be a false comparison. I know my history and I know how Hitler crept into power. @Blouise: Do you think, perhaps, that the time for government to inspire has faded … is now behind us? I guess I am not sure what “inspire” is supposed to mean here. As an academic, I am inspired by government on an almost daily basis; most new scientific results we see were funded by the NSF, DoD, or other government agencies (or foreign governments funding their universities). The vast majority of our graduate students are being funded by government, in one way or another, including state government and federal research grants that pay their salaries. If you are talking about interplanetary exploration by NASA, like the Mars rovers or space telescopes, I find that inspiring and exciting too. If you are talking about sub-atomic exploration by the LHC, or the thousands upon thousands of genetic explorations going on in our universities, I find all that inspiring. On the other hand, I do not expect to be inspired by routine administrative tasks, like health or structure inspections, tax preparation, or the DMV. I expect to find lines and long waits in nondescript and often out of the way accommodations, just because that is the most cost efficient way to provide administrative services to citizens. When there is a line, the servers remain constantly busy, and facilities are cheaper when they are not ostentatious or proudly occupying prime commercial real estate. Inconveniences are signs of health in public services, it means the management is minimizing costs, maximizing productivity, and providing the most help it can within their space and salary budget. I am not sure I would call that inspiring, but it is comforting. This has been a good discussion that has ranged widely, but quite informatively. I’d like to return though to the original subject of Gene’s excellent continuing series on propaganda. 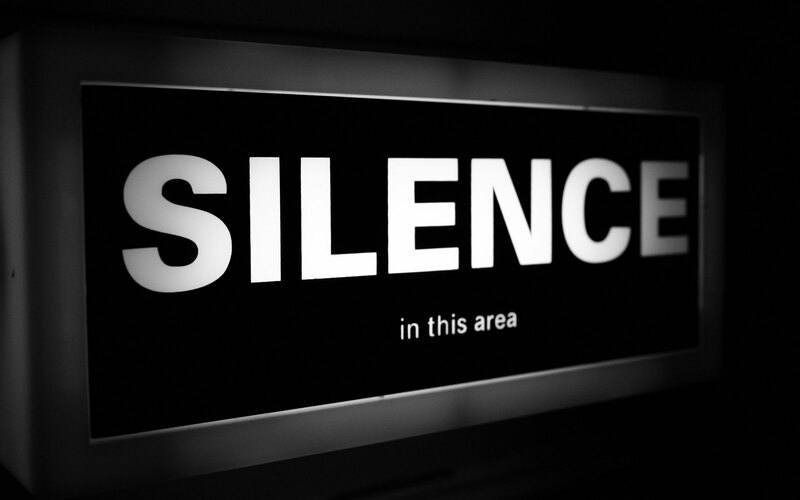 I the “Sound of Silence” Gene explores how sometimes propaganda can be effective in the absence of information and discussion about a issue. We see this with Paul Ryan, as limned by the mainstream media. There is an acceptance in the MSM that the Ryan narrative that he weaves is factual, when in truth it is not. He is a child of privilege, whose entire career has been spent in politics and elective office. His “budget plan” rather than representing an intellectual’s attempt to reduce the deficit, is actually a poorly conceived attempt to substitute political rhetoric, for economic sense. He has an extreme right wing theocratic view of social issues that is far out of the mainstream of the America public’s belief, yet the MSM fails to report it. Yet through its silent complicity and with its bald acceptance of the false Ryan narrative, the corporate media through its silence, spreads the propaganda of this false hagiography. A story this week even had Mitt’s sister stating to the press that despite a platform plank that would outlaw ALL abortions, women needn’t worry about it because Mitt would never move to implement it. We have heard similar things about Social Security and Medicare, two programs revered by most of the public, even though the Republican efforts/rhetoric for many years have been aimed at destroying them. Here is the dilemma that the MSM’s “silence” has caused. This country may well elect these two men and also a Republican controlled Congress, that will destroy these two programs, despite the fact that the overwhelming majority of Americans approve of them. Others here, who I respect greatly, have long disagreed with me on whether or not to vote for Obama. I am not comforted by some of their beliefs that Obama will get elected despite all and that even if he doesn’t get elected, these drastic changes will not occur. While we can be grateful that there are still great investigative journalists like Mike Taibbi and Russ Baker, ignoring the facts by the MSM has in fact produced effective propaganda through silence.